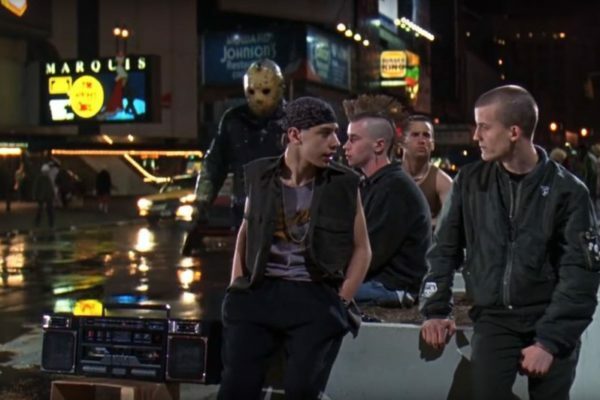 Introduced in the 1970s and an in-thing in the 1980s, boomboxes were how people once upon a time jammed with friends. The boombox of yesteryears was a transistor radio with cassette tape player and two loudspeakers in one big case! Imagine people carrying the loudest portable boombox on their shoulders, looking all the while the coolest kids on the block. 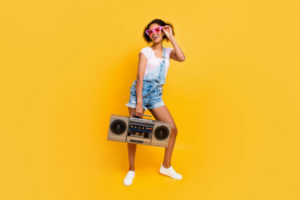 Thankfully, now that boomboxes are making a comeback, they are much smaller and support a wide range of music sources, from smartphones and laptops to USB ports and SD cards. Why Should You Get a Portable Boombox? 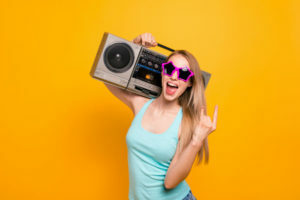 While personal music players and portable speakers are more of a thing now than heavy boomboxes, there are situations where only a portable boombox is the answer. · Share music with a larger group. The boombox lets you enjoy good music with friends. And with its more portable design, it allows you to bring it wherever you go. · Enjoy music from different sources. 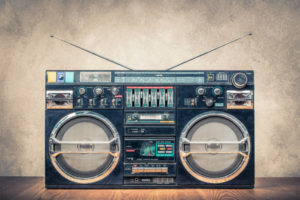 Aside from radio, the boombox plays music from your mobile device via NFC or Bluetooth connection. And fitted with different jacks and slots, it also lets you use flash drives or SD cards. Not getting enough bass from your speaker? 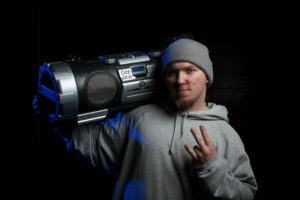 The boombox supplies you with the thumping beats you need to enjoy rap, dubstep, hip-hop, and rock music, among others. · Get more sound and spend less. Is a home stereo system an overkill for your needs and beyond your budget? The boombox can prove to be your happy medium. 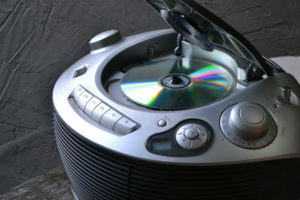 It streams music loud enough to be enjoyed by more people without costing you an arm and a leg. What Are the Top Three Loudest Portable Boomboxes? Is the party indoors or outdoors? 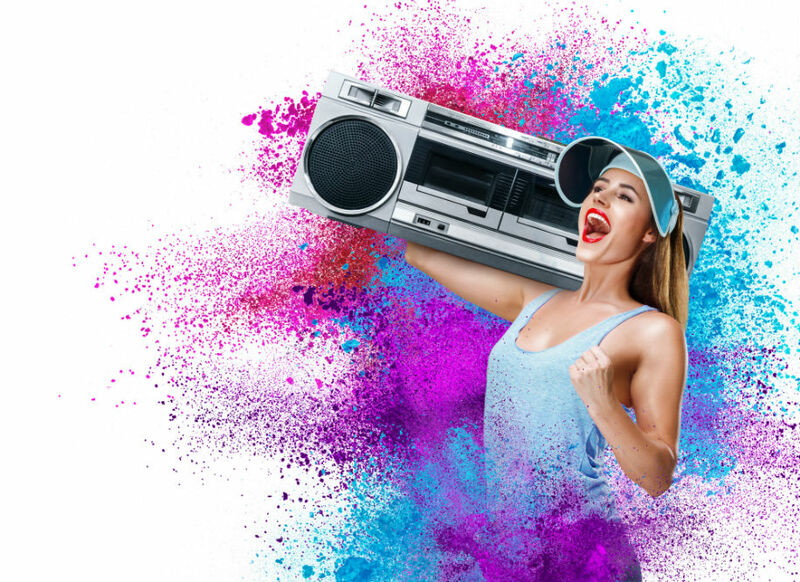 The Brookstone Big Blue Bluetooth Boombox makes no distinction. As compact and lightweight at 6.2 x 6.2 x 15.8 inches and 12 pounds, this boombox has four built-in speakers that fire music at 360 degrees, filling the room at every corner. And being weatherproof and water-resistant, it is suitable for beach and poolside use. You can also take it anywhere with you because it allows cordless operation for 4.5 hours with its rechargeable battery. Additionally, this boombox makes it possible for you to stream music from your PC, laptop, smartphone, or tablet up to a good 33-feet distance through NFC or Bluetooth pairing. This 72-watt omnidirectional speaker also boasts of a full-range stereo with integrated manual controls for bass and volume. You can also make adjustments remotely through your device. 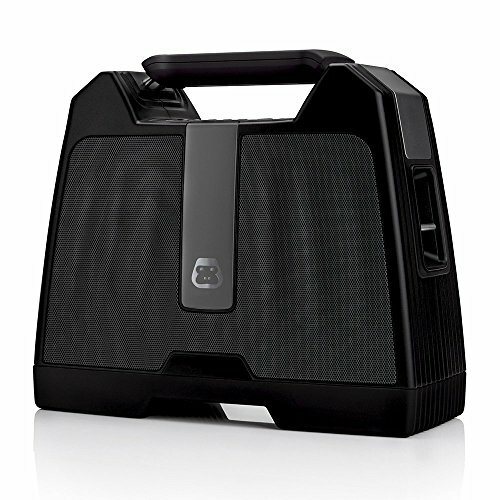 Whether you are still trying out the boombox idea or working on a tight budget, the G-Project G-BOOM speaker makes an excellent choice. 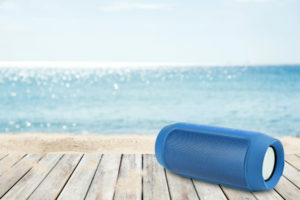 Designed with Bluetooth connection technology with a 30-foot range, it lets you play music from your smartphone, tablet, laptop, or PC. You can also use its 3.5 mm AUX-IN jack in case your music source is a non-Bluetooth device. It features a rugged housing, protective rubber case, a full set of playback buttons with a special EQ button, and an integrated top handle. Powered by an ion-lithium rechargeable battery, you can enjoy music on-the-go for an uninterrupted six hours. It also runs on AC power! Moreover, it has a 2.1 speaker configuration, dual rear-firing bass ports, MAXX audio digital sound processing technology, and built-in optimized three EQ presets. It is lightweight and compact at 11.8 x 4.9 x 10.2 inches and 7 pounds. 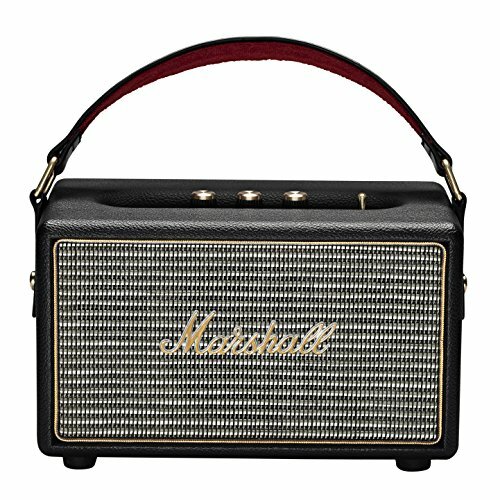 If you are looking for a boombox with a vintage feel yet modern features, the Marshall Kilburn Portable Bluetooth Speaker gives you that and more! It sports a vintage look with its cloth speaker grille, gold details, iconic logo, and guitar-inspired leather handle. It comes in a cream or black model. Beyond the aesthetics, it’s simply one of the loudest portable boomboxes there is. It has two 3/4-inch dome tweeters as well as a four-inch woofer. It also uses a bass-reflex system and is fitted with analog knobs; you can fine-tune volume, bass, and treble according to your preferences. It also has pairing and wake buttons and a power switch. You can play music through Bluetooth connection or its 3.5-mm stereo plugs. 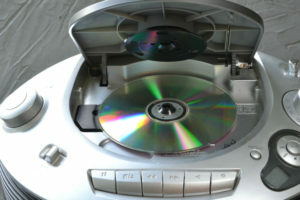 You can listen to songs from your device, Bluetooth-enabled or not. The boombox comes with a complementary coiled audio cable for wired operation. When unplugged, it plays an impressive 20 hours. However, if that’s not enough, you can also plug it in through AC power. It measures 5.5 x 5.5 x 9.5 inches and weighs 6.61 pounds. In a day and age where everything is getting smaller, boomboxes still have their place. 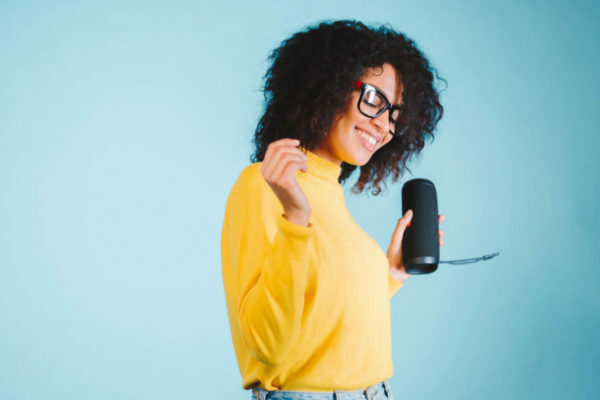 They afford you more mobility than a home stereo system can and more sound—particularly more bass—than what you can get from mini portable speakers. More importantly, it also does not hurt that we now have evolved to boomboxes that support digital audio technology and processes, does it?